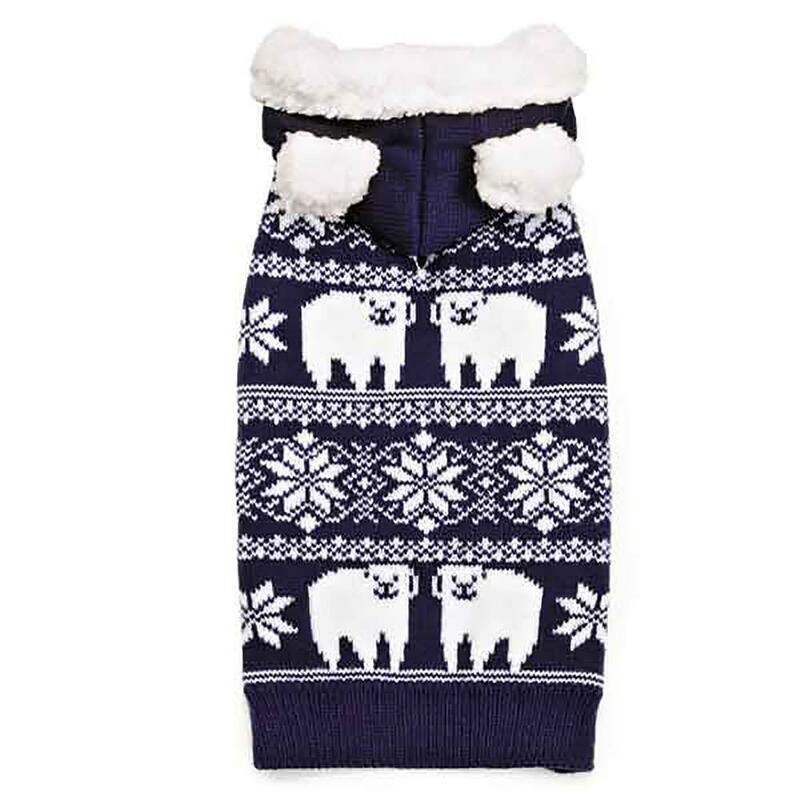 This Zack & Zoey® Elements™ Polar Bear Hood Sweater offer dogs a winter-worthy sweater that's warm and adorable. Get ready for cold weather with this warm and stylish Zack and Zoey Elements Polar Bear Hooded Dog Sweater. 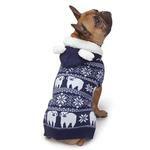 This adorable sweater dog hoodie features a classic jacquard knit style in a cute polar bear and snowflake pattern. Not only is it perfect for staying toasty slope side, it's also great for adding warmth to the holidays and all winter long. 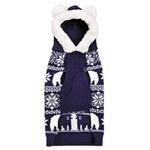 You'll love the warm knitted hood with adorable polar bear ears and soft plush trim. The square body shape offers full body coverage for dogs while the high-cut tummy keeps your pup clean and dry. Convenient arm hole slits create a sleek style that easy to put on and take off. This sweater is made of 100% acrylic for easy care. Simply machine wash in cold water on a gentle cycle then line dry. 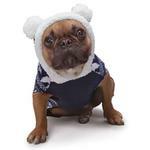 Zack and Zoey Elements Polar Bear Hooded Dog Sweater Customer Photos - Send us your photo! 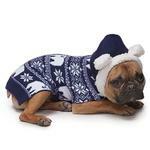 Hasbro is sporting this adorabull polar bear sweater with hoodie. The attached ears make this piece perfect, just like Hasbro. He looks simply irresistible in this sweater. You know you want to hug him. Posted On 02/25/18 by Amanda T from Lockport, NY Yes, Amanda T recommends this product! Fits perfectly and absolutely cute on my little Doxie! Posted On 10/22/17 by Joanne T from Toms River , NJ Yes, Joanne T recommends this product! Jax is a 2 year old 10 lb morkie that looks gorgeous in these little sweaters during winter months. I may have to exchange for a Large vs a medium but otherwise its awesome especially with the white Pom Pom on hood. Zack and Zoey products never disappoint and with easy returns to BaxterBoo I'm always comfortable with trying new brands. Love this insect shield shirt, just got it a few days ago but so far it is working, I'm amazed! I will definitely be ordering more for my other furry friends here at my house ( rescue central) lol. I really thank you all at Baxter Boo for your special services and for caring about your customers so very much , some people do notice. YOU ROCK!